Kenneth Dahlke was born to Louis and Clara (Braun) Dahlke on May 5, 1928, in McLeod County. He was baptized, confirmed and attended parochial school at Immanuel Lutheran Church in Brownton. 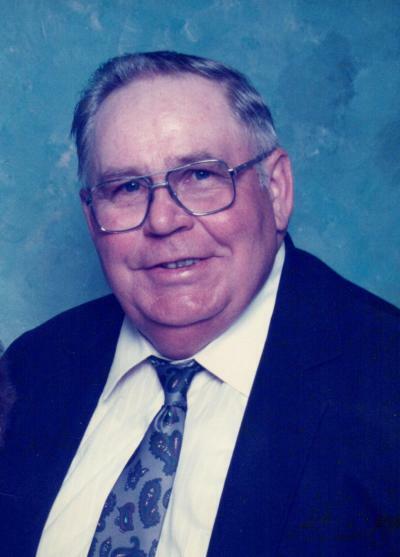 He then attended Brownton High School and graduated on May 28, 1946. He drove a milk truck for the Brownton Creamery and farmed in the area. He owned and operated Kenny Grocery Store in Brownton. He enlisted in the U.S. Army and spent his duty in the Korea during the Korean War. He married Marion Dobberpuhl-Kuhne of Alexandria at Immanuel Lutheran Church in Brownton. He was a machinist for Bellanca Aircraft of Alexandria. They farmed near Carlos for 33 years and later moved into Carlos, and finally to Alexandria. He liked deer hunting and fishing. The couple owned a summer place near Pine River, where they enjoyed taking their grandchildren. For 18 years, they owned and operated the “O.K.” Lunch Wagon at auction sales. They attended Trinity Lutheran Church in Carlos. He served on the church council and helped with the youth league. They belonged to a whist card club for 22 years. While members of the Viking Land Sam’s Camping Chapter, he enjoyed caravanning, coffee breaks, campfires, potlucks and friendships. He enjoyed being a lunch buddy at Carlos Elementary School. He entered the Knute Nelson Care Center on Dec. 16, 2006, where he received lots of good care and hospice services. He is survived by his wife, Marion; daughters, Linda (Dan) Sundgaard and Laura Capp; sister-in-law, Elaine Dahlke; grandchildren, Nicholas Sundgaard and Mitchell (Marleen) Sundgaard, Maria (Maurico) Segovia, Karen (Samuel) Strassburg, Heidi (Cory) Haskamp and Bradley (Angela) Capp; great-grandchildren, Zacarias Sundgaard, Marcelo and Madeline Segovia, Seth, Zoey and Levi Strassburg and Joycelyn and Nadalie Capp; and nieces and nephews. He was preceded in death by his parents and his brother Melvin Dahlke. Arrangements were with the Anderson Funeral Home in Alexandria, www.andersonfuneral.net.